Let's start this week talking about something very important to our healthy: Skin Protection! How much do you care about your skin? Do you apply sunscreen daily? No matter the season you are (summer, autumn, winter and spring), the use of sunscreen is essential! There's, in the industry, a huge selection of products that are perfect for every skin type. As my skin is oily combination and very sensitive, these are the ones I use daily. Vamos começar a semana falando sobre algo muito importante para nossa saúde: Proteção da Pele! Quanto você se preocupa com a sua pele? Você aplicar protetor solar diariamente? Não importa a estação em que está (verão, outono, inverno e primavera), o uso do protetor solar é essencial! Na indústria há uma enorme seleção de produtos que são perfeitos para cada tipo de pele. Como a minha pele é mista e muito sensível, estes são os que uso diariamente. The SPF to start applying sunscreen is above 30, my choice is 70 because I feel secure, especially in this 41ºC/105ºF summer. 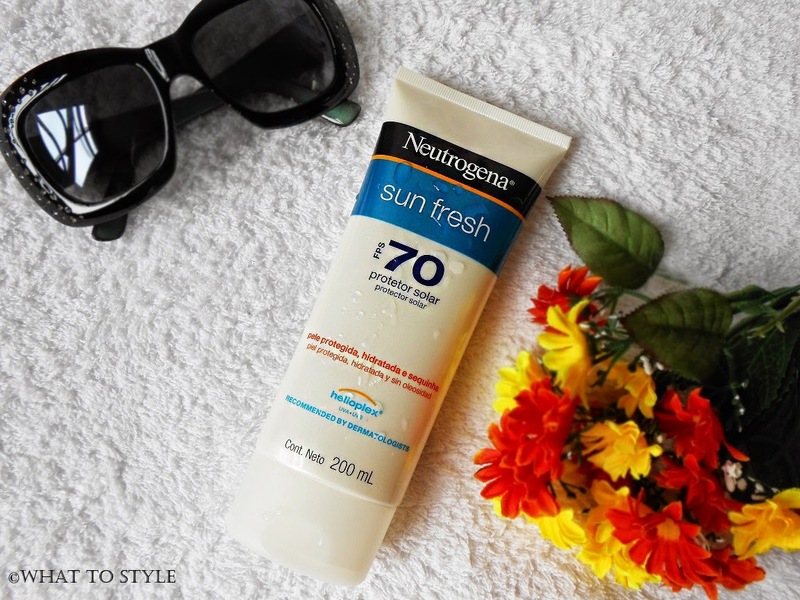 I've tried several products but didn't like any of them, I hate the feeling of clammy skin and always look for oil-free products, was then that I found the Neutrogena Sun Fresh and I'm loving it. I feel comfortable with this sunscreen, my skin gets dry and hydrated all day. In addition, it hasn't that strong smell of beach and you can use it in different places. O FPS para começar a aplicar protetor solar é de 30 pra cima, a minha escolha é 70 porque me sinto mais segura, especialmente neste verão 41ºC/105ºF. Já experimentei vários produtos, mas não gostava de nenhum deles, odeio a sensação de pele pegajosa e sempre procuro por produtos oil-free, foi então que encontrei o Neutrogena Sun Fresh e estou amando. Sinto confortável com este protetor solar, minha pele fica seca e hidratada o dia inteiro. Além disso, ele não tem aquele forte cheiro de praia e você pode usá-lo em lugares diferentes. 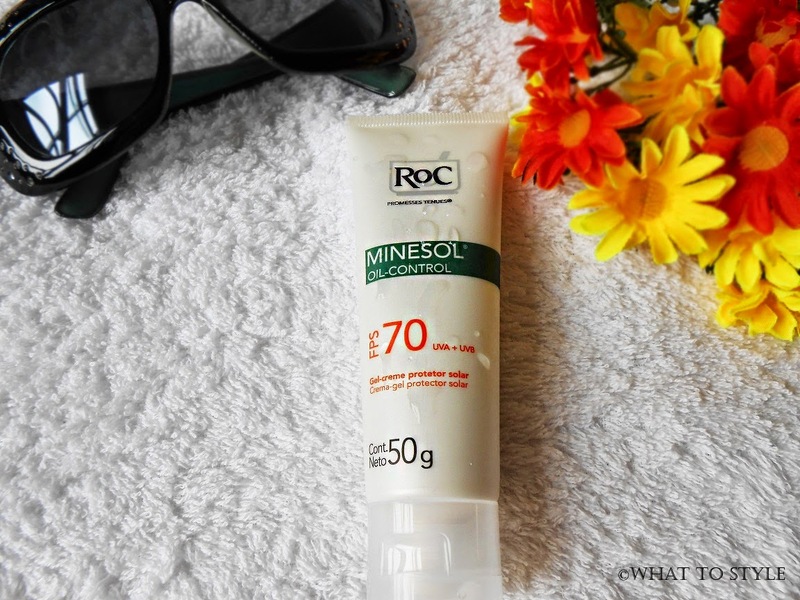 I've been using Minesol Oil-Control for a long time and I love it! You must apply it correctly on your face and neck because your face can look white, yes white. But learning that, it's an amazing oil-free product and I have a trick to share with you - I use it as a primer, since my makeup stays for so long and I don't feel necessary to use a foundation..
You can check out my post about BABY LIPS - here! Tenho usado Minesol Oil-Control por um longo tempo e amo! Você deve aplicá-lo corretamente em seu rosto e pescoço porque seu rosto pode ficar branco, sim branco. Mas aprendendo isso, é um produto oil-free incrível e tenho um truque para compartilhar com você - uso como um primer, já que a minha maquiagem permanece por bom tempo e não me sinto a necessidade do uso de base..
Você pode conferir o meu post sobre BABY LIPS - aqui! Check out this amazing video below, where Thomas Leveritt shows us the importance to use sunscreen! Confira este vídeo incrível abaixo, onde Thomas Leveritt nos mostra a importância de usar protetor solar! Great post! So important to protect from the sun! Sem duvida uma das partes mais importantes do dia. I've never tried more than SPF 50. I have used baby lips too but I think they are not so moisturising and protecting. In which country you live? Spain? This blue BabyLips contains SPF 20! 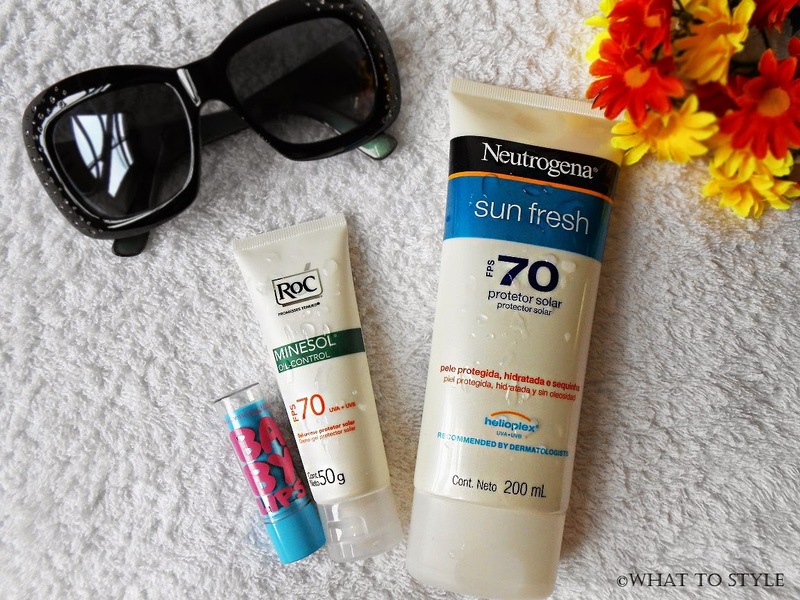 During summer I try to wear sunscreen but most days I forgot haha :P Great post! I wear sunscreen during all year! Great post! Sunscreen is so important great post. I cringe when I think about how I used to bask in the sun when I was younger. Yikes! I now use sunscreen makeup every morning! Great post. I like your glasses. You make great photos dear. Love them. Great post, Jessica, skin protection is so important. Skin protection is very important.Nice post. tem que se proteger, tenha uma semana abençoada. Parece un buen producto, actualmente uso el protector solar de Avon, se absorbe rápidamente y no es grasoso eso me gusta, que tengas buen día! Concordo! Já tem 4 anos que uso e gosto muito! Sunscreen is so important! Neutrogena is my favorite! Eu tenho esse protetor solar! That video is crazy! I need to stop skipping the sunscreen -- I don't want any spots! I've been looking for the Neutrogena moisturisers with SPF and I can't find them anywhere, it's so frustrating because no other mosturizers I can find with SPF are made for oily skin!!!! May have to search online! So nice to see someone showing the importance of protecting ourselves against the sun! Great post! Que lindo post !! gracias !! Love this! Skin protection is super important! This is such a great reminder. I'm the worst when it comes to sunscreen! I try to be conscious of it in the summer, but during the cooler months, I forget about it completely. Great reminder girl and I love neutrogena. Mesmo com o preço mais elevado, vale a pena pela proteção que dá a pele e pelo fato de não ficar com aquela sensação de protetor melado. Great post! I want to try that Baby Lips chapstick. I have heard so much about it! Nossa eu tenho usado bastante tb, só que além dos protetores uso hidratantes para pela seca, pois tinha pele muito oleosa e mudou. Amazing what sun can do to the skin. Actually make that scary. Gosh, we really need to protect our skin from it. It's the number one enemy of our skin. ROC is a great brand! Awesome post. So right!! Ant the video is funny to watch, too!! Such a great post! I'm taking very good care of my skin. It's important, also to start early. Even though it might seem unnecessary at the time, you'll benefit from it later. YAY! For the products, I need this for my skin since it will be summer here soon. Verdade, não devemos usar o protetor solar apenas quando sair de casa/ ir pra praia, mas também porque as luzes fortes são prejudiciais à pele! I can't live without these protecting even one day. Great post. Great posts and thanks for including sunglasses. Thanks for sharing. Wow really? I had no idea that you should be using sunscreen even in the fall and winter! Yes, Tina! The ultraviolet rays are harmful to our skin in any season! Even when the sky is cloudy and raining! Yes, actually there are even higher SPF in the industry! 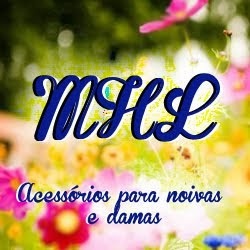 Que legal que o minesol dá como primer! Pois é, foi uma experimentação que deu certo! E até mesmo prefiro usar o Minesol antes da maquiagem do que um primer! 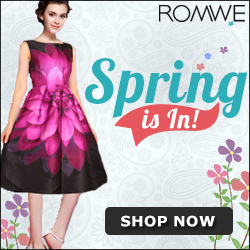 you surely are ready for sun!!! I never think about wearing sunscreen in the winter, I really should! Gosto dos produtos da neutrogena, mas esse solar nunca experimentei. Great routine. I think it's very important to protect the skin especially in summer. Love this post, thanks for the tips!! I love your selection! Neutrogeena is always a good idea! great post, its always important to protect your skin even when the sun doesn't appear to be out. Im pretty pale and I burn sooo easily! i love that lip balm! I am super afraid of the sun and a huge user of Neutrogena sun protection products!! In love with your sunnies Jessica! So cool! Oh, I didn't even know that you could get SPF 70 suncream! Thanks for the reminder! I need to remember to wear sunscreen even in the colder months! Great post. Sunscreen is always very important! Great post. I love those sun glasses! Thanks for stopping by on my blog :) I love your blog and would definitely want to stay connected! I'm following you now and I hope you follow me back! Stay in touch. What a great routine!! It's so important to protect your skin! i have to try that ROC oil control! Such an interesting post, love your sunglasses! Sunscreen is SO important! Hands down the most essential part of any beauty routine. Thanks for sharing this video too. Very powerful. I love neutrogena's stuff actually. Love those shades by the way! Eu uso protetor solar todos os dia no rosto.